QuickBOLT is a division of Quickscrews International Corporation. QuickBOLT has a wide range of innovative solar mounts for residential roofs. We can produce custom products from start to finish in 60 days and are continually working with installers to deliver the exact products needed for any type of roof. Founded in 1987 as a local wholesaler of products for the cabinet and furniture trades, Quickscrews International Corporation has evolved into the supplier of the most popular brand of fasteners in the industry. Quickscrews has become recognized as a leader in both Quality and Performance. Goods are able to arrive anywhere in the country within 4 days due to optimal warehouse locations in California and South Carolina. Our highly trained and experienced personnel are ready to discuss your needs and concerns to ensure you get the product you need when you need it. Quickscrews continues to use technology to service many different categories of customers. Whether you are a weekend warrior looking to finish your latest project or you are a large commercial cabinetmaker, Quickscrews is prepared to handle your challenges and service your needs. If you are a wholesaler looking to add a profitable screw line or simply trying to support your local customers, we are recognized as having the best custom wholesale program in the country. In 2010, we began the process of marketing direct through our Website. Our customer base has expanded rapidly while continuing to develop more tools for our wholesale distributors. Although these two results seem opposite in nature, they actually go hand in hand quite well. Distributors, manufacturers, wholesalers and DIY weekend warriors have all been benefactors of our change and growth. We can now service easily over 10,000 customers and we ship all orders within 24 hours of receipt. Facing a deep recession in 2009, Quickscrews launched a new Solar Division: QuickBOLT. We took the Solar industry by surprise, leveraging our expertise in importing overseas. 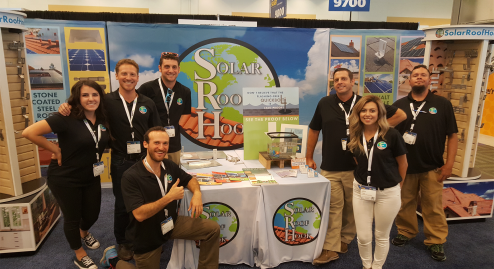 Almost overnight we were able to design improvements to products, identify customers in the market, and within 3 years have become one of the leading suppliers to solar installers and distributors throughout the United States. Good companies are forced to change. Great companies embrace it. Employees at Quickscrews work tirelessly to maintain Quickscrews’ superior reputation while adapting to the change that comes with growth. We understand that while we grow, we must not forget that stability has been a key to our success. Greg Wiener, Quickscrews founder, has been at the helm since 1987 when he started the business in his garage in San Mateo, California. His philosophy has been to provide employees the opportunity to grow with the company and promote from within. Over 50% of our employees have been with the company longer than 10 years, and 3 of them have been “lifers,” with the company for more than 28 years. Two of Greg’s sons, Jared and Mike, work at the company as well as his wife, Deborah, who has been working alongside and supporting Greg since the beginning. The Wieners are very proud that the next generation will be here to continue the dream that started so long ago. The Wiener family, along with the Quickscrews family, wants all of our customers and vendor partners to know how grateful we are for your loyalty and business over the years. Products are stocked in Livermore, CA, and Rock Hill, SC, allowing QuickBOLT to meet the needs of any company or individual nationwide.